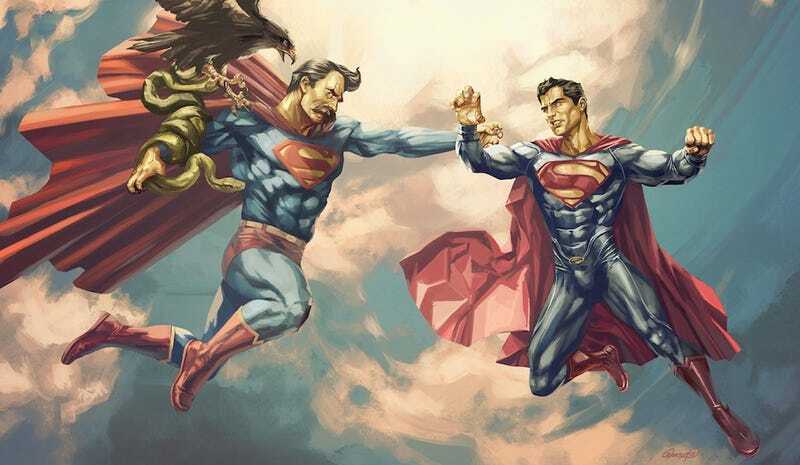 Who would win in a fight between Superman and Nietzsche's Übermensch? Superman or Nietzschean Superman? José Quintero's Allegorical Superheroes series places costumed superheroes in philosophical or mythological scenes. Superman squares off against Friedrich Nietzsche as his Übermensch; Spider-Man and Venom play David and Goliath, and Batman battles the crime dragon as St. George.